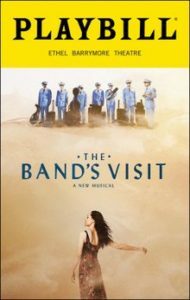 Meet at the Temple and hop on the bus for a lovely trip to the Kennedy Center to see “The Band’s Visit,” winner of 10 Tony Awards, including Best Musical. Click HERE to read about the musical. Cost: $80 (member); $90 (non-member). Includes round-trip transportation from the Temple, orchestra ticket and light snack on return trip. Bus leaves the Temple at 12:45 pm and returns after the show (running time of 90 minutes; no intermission). Click HERE to reserve your ticket. First come-first served. Contact Shelly with questions.